Dave Kiff, President of Pacific Tool & Gauge (PT&G), showed us some great new products his company will offer in 2011. 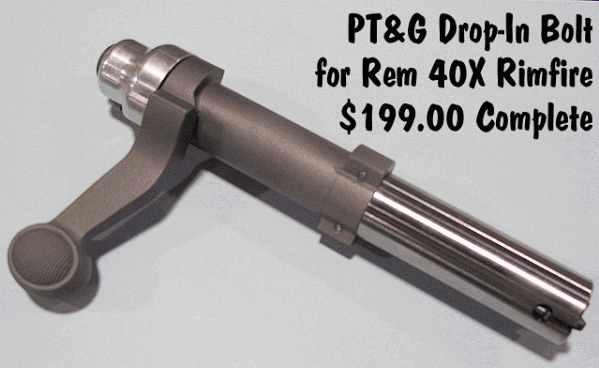 First Dave showed PT&G’s new Rem 40X rimfire bolt. This is a complete bolt that will “drop in” to rimfire 40X actions. So, if you’ve picked up a surplus 40X from the CMP that is lacking a bolt, you can complete the rifle with one of Dave’s $199.00 40X bolt assemblies. Next Dave showcased his new one-piece Remington bolts with integral handle. Factory Rem bolt-handles are silver-soldered on to the main bolt assembly. With hard use, the bolt handles can break or separate. PT&G has cured that problem with an integrated bolt/bolt handle assembly that is CNC-milled from a single piece of billet. Dave says this produces a bolt-handle that “even the sniper guys can’t break”. Last but not least, Dave showed some new bottom metal options. 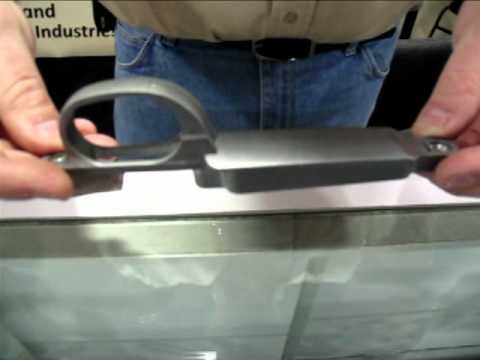 PT&G now offers handy Oberndorf-style bottom metal with a convenient push-button release in the front of the trigger-guard (see Video for demo). With a more ergonomic and positive latching system than the standard Rem bottom plate release, the Oberndorf bottom metal is very popular according to Kiff. Share the post "SHOT Show Report: New Items from Pacific Tool & Gauge"
Hornady has launched it’s latest “Get Loaded” Free Bullet Promotion. Now through 12/31/2011, if you purchase certain Hornady reloading products, you can get up to 500 free bullets. We think the best deal may be the 100-bullet offer. 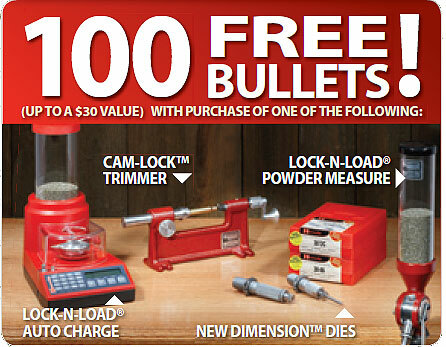 You can get 100 free bullets with purchase of ANY one of the following: Hornady New Dimension Die Set, Hornady Cam-Lock Case Trimmer, Hornady manual Powder Measure, or Hornady AutoCharge Electronic Powder Dispenser. We’ve purchased and used New Dimension dies for pistol cartridges and they work very well for those applications. They also work fine in our RCBS Progressive press. To get 500 free bullets you’ll have to purchase something much more expensive, either a Lock-N-Load Classic reloading kit ($319.99 on sale now at Cabelas.com), or the Hornady L-N-L AP Progressive Press ($427.67 at MidSouthShootersSupply.com). Share the post "Free Bullets with Hornady Product Purchase"